PowerCards Macro Helper is a companion to Script:PowerCards. PCMHelper generates macros, templates, and replacement handouts to enable the automatic creation of PowerCards for PC Attacks, NPC Actions, NPC Legendary Actions, and PC and NPC Spellcasting. 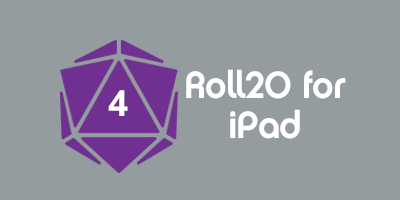 PCMHelper can be installed via the Roll20 One-Click Install system. While it will not fail without PowerCards installed, it will also not produce useful results unless that API script is also installed in the game. At launch of PCMHelper, PowerCards 3.8.11 or higher is required. PCMHelper has two primary tasks : first, to establish a set of handouts and macros used by the PowerCards API script to generate PowerCards based on information from the 5E OGL Character sheet, and second to monitor changes to characters (PC and NPCs) and generate a set of character attributes used by these macros. These attributes are formatted with vertical bars between each entry, allowing them to be used as the text content of a roll query. PowerCard Replacements PCMHelper Contains the "Advantage" replacement, allowing scripts to substitute die roll information based on the Advantage Toggle option in the 5E OGL sheet. PowerCard Templates PCMHelper Contains PowerCards templates named "Basics", "NPCBasics","NPCAttack","PCAttack","CantripAttack", and "SpellCast". These templates are used by the macros created by the script. When !pcmsetup is executed, PowerCards Macro Helper will create (or recreate) thirteen macros in your game. Each of these macros will query the appropriate attribute list for the character whose token is selected and present this as a dropdown list to select an ability/attack/spell to use. After selection, an appropriate PowerCard will be generated based on the attributes of the ability/attack/spell in the character sheet. This page was last modified on 27 February 2019, at 00:56. This page has been accessed 190 times.